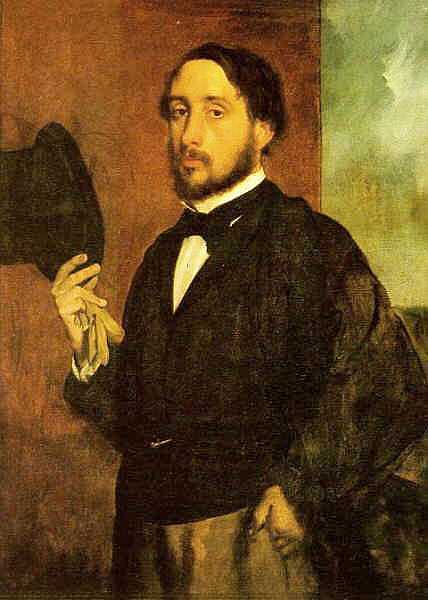 Degas, Edgar (Hilaire Germain Edgar Degas), 1834?1917, French painter and sculptor, b. Paris; son of a banker. Although prepared for the law, he abandoned it for painting, studying at the ?cole des Beaux-Arts with L. Lamothe, a student of Ingres, and in Italy, copying 15th- and 16th-century masters. He was precociously gifted as a draftsman and a brilliantly subtle and penetrating portraitist (e.g., Bellelli Family, 1859; Louvre). 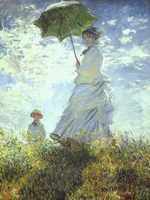 He exhibited for six years in the Salon (1865?70), but later ceased showing there and exhibited with the impressionists, whose works he admired although his approach often differed from theirs. An unflagging perfectionist, Degas strove to unite the discipline of classical art with the immediacy of impressionism. Trained in the linear tradition of Ingres, Degas shared with the impressionists their directness of expression and the interest in and portrayal of contemporary life. His favorite subjects were ballet dancers, women at their toilette, caf? life, and race-track scenes. He made notes and sketches from living models in motion to preserve informality of action and position. Ranked among the greatest of French artists, Degas profoundly influenced such later artists as Toulouse-Lautrec and Picasso.